Looking to find the perfect paradise for your vacation home? Dreaming of an island escape? Look no further than Long Beach Island, New Jersey, founded in 1614. Venture over the causeway onto the 18-mile island comprised of beautiful beaches, stunning sunrises and sunsets, delicious dining and plenty of fun for all. Known for never being over crowded, it is impossible not to fall in love with its charm and calming environment. Home to over twenty towns, you are sure to find the community that suits you the best. 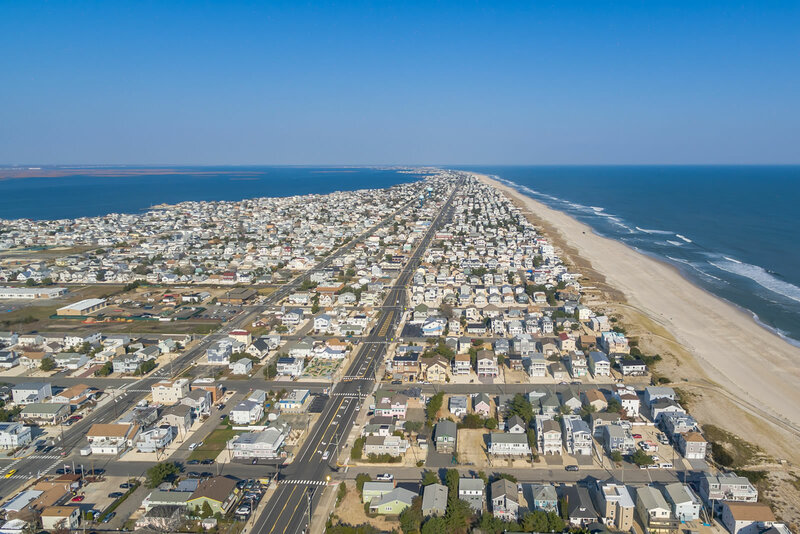 Whether you are looking for a seasonal residence or a place to settle year-round, there is no place like LBI! Gina is one of the most professional and knowledgeable real estate agents that I have ever worked with. She has a great sense of urgency and is very through in all that she does. She continues to follow up on all activities all the way through closing as well as checks in weeks after closing to ensure there is nothing outstanding. I highly recommend her for any real estate transactions within her geographic area of expertise. For two years Gina worked with our family to find the perfect beach house. Each time we would go out looking, she was optimistic and never tired of our search. Gina placed numerous phone calls to town halls and contractors on our behalf to find out answers to our questions about many properties. She really cares about her clients and wants them to be happy. Gina is a professional in every way. She helped us through from beginning to end with a successful and quick sale. Gina was realistic in the pricing aspects of our house and we appreciated her assistance with every detail of the sale. She interfaced with our attorney and did all she could to make the transaction easy on us. We HIGHLY recommend her! Gina was a wonderful agent to work with! We usually had 3 young children with us, which can be difficult, but Gina was always patient and professional. The kids even loved her! We appreciated Gina's knowledge of the area and I particularly liked that Gina always gave us an honest opinion of the homes we were viewing. We would welcome the opportunity to work with Gina again and we always recommend her to anyone we know who may be looking for homes in the area. Gina goes above and beyond to represent her clients. In our situation, she notified us immediately when a new property came on the market which met our needs, and because of her timely follow up and knowledge of the market, we were able to close on the property at a price which was below market value. We couldn't be happier working with Gina. You could not ask for a better real estate agent. Gina knows the island, knows the surrounding area and has a keen sense of everything involving the purchase of a home! So happy with her work!!! Gina was great! She listened to us and tried very hard to find the right home for us. The process took a while but we always felt she was looking out for us and making sure we were comfortable with the houses we were looking at. In the end, she helped us find the right home and did a great job negotiating the price for us! I highly recommend her to anyone looking for a house/duplex. I cannot say enough GREAT things about Gina. She helped us buy our home on LBI, ensuring that we found just the right one for our family. Her integrity is of the highest I have ever seen, and her knowledge and ability to guide us through the process of purchasing a beach home was great. I would recommend her to everyone purchasing a home on LBI and I would never use anyone else again. Our transaction had multiple issues, which Gina navigated with a level of professionalism, that amazed both my husband (who is in executive sales) and I. She understood what we wanted quickly and only delivered homes that really delighted us. There is not enough space to say how AMAZING this realtor is. If you are buying or selling, this is the only realtor I would recommend. Gina is the ultimate professional and we could not have asked for more in a real estate agent when we purchased our home. She has extensive knowledge of the area and a keen intuition when it comes to her clients. She truly listened to all of our wishes and concerns and made our buying experience seamless. Gina was always available to answer our questions promptly and to meet us on site whenever we needed anything. Honesty and integrity are the words I would use to describe Gina. The home buying process can be a nightmare but she made it a dream come true. I highly recommend Gina for any of your real estate needs.